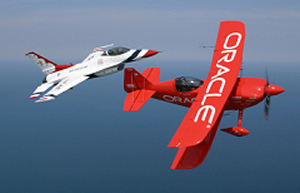 At TECHcelerate we are proud to be a valued and trusted partner to Oracle® customers. We provide best in class technical and functional consulting services for Oracle clients. If you are presently contemplating or have already made an investment in Oracle, we can help you achieve accelerated returns on your strategic investment. Oracle Application customers often succeed in implementing their core business processes only to realize that they are not taking full advantage of their information assets. Leveraging the full potential of the Oracle System requires a unique combination of application, technical and database skills to accomplish. TECHcelerate consultants possess this versatility and assist clients in extending the applications by fulfilling company specific requirements. We have developed strong partnerships with our customers and they have rewarded us with their trust and confidence. We welcome the opportunity to earn your partnership. Oracle and Oracle Applications are registered trademarks of Oracle Corporation. All other names may be trademarks of their respective owners.